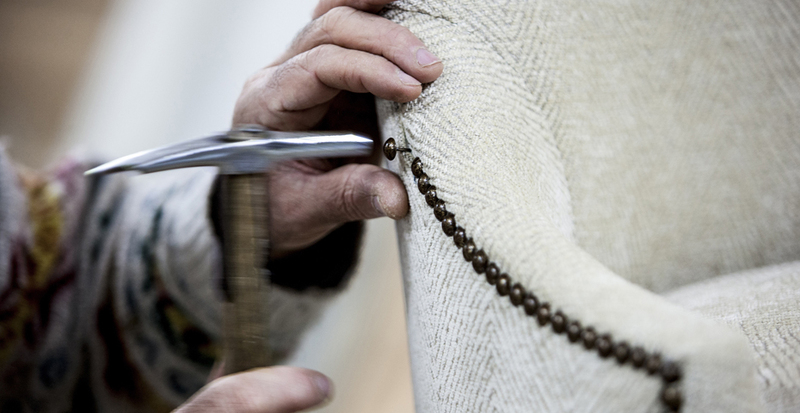 Every Oficina Inglesa piece is entirely handmade, combining artisan knowledge with traditional construction techniques and following incredible designs made to suit modern day living. All pieces follow our client's requirements of design, layout and dimensions. 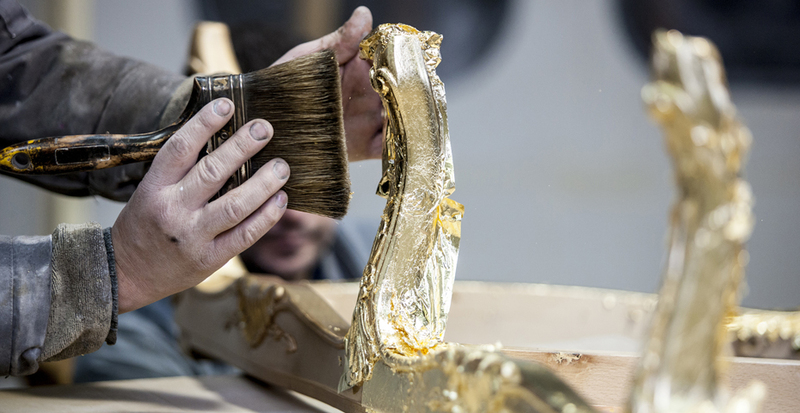 Projects require the full attention of our craftsman who plan the construction of each item, ensuring that all pieces work well and are fit for purpose. 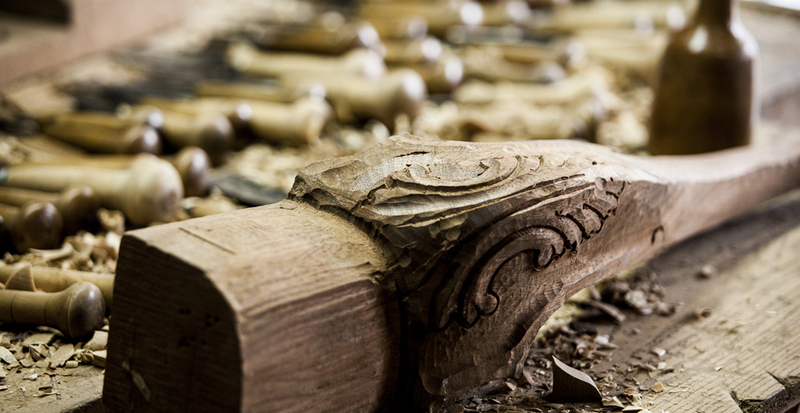 Through a rigorous process of quality control, our team ensures that only woods in perfect condition are selected to be used in our products. 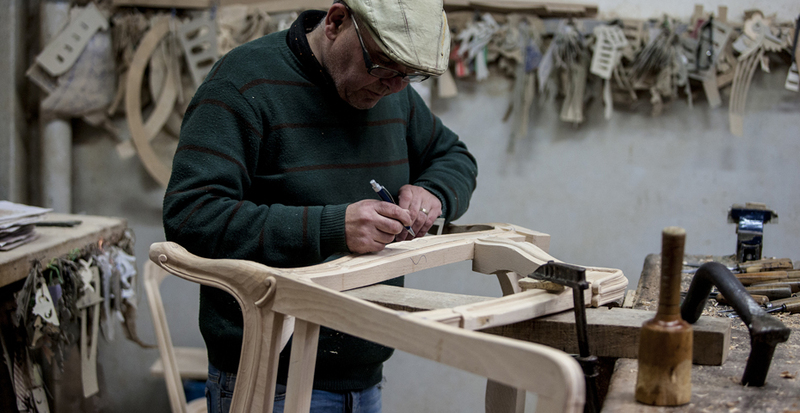 The extensive range of woods available give your piece of furniture a final touch of elegance - a trademark of Oficina Inglesa. 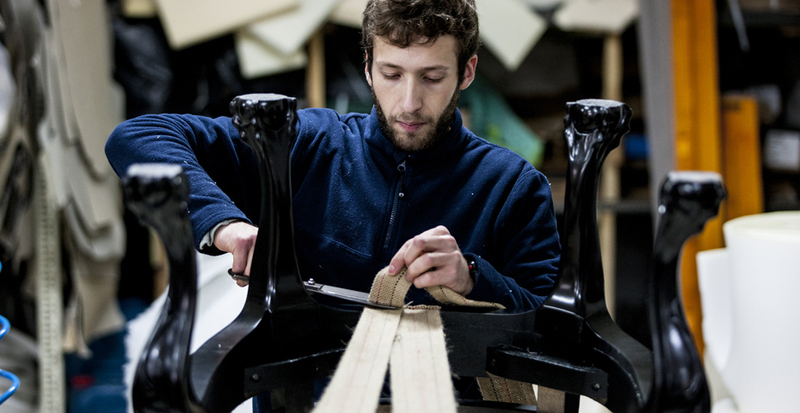 The way in which a piece of furniture is constructed is as important as its aesthetic beauty. 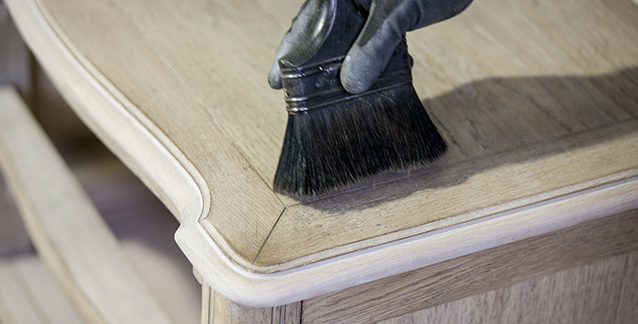 The sophistication of our products must be present at all stages of the production process - from the choice of the wood to the finished product. 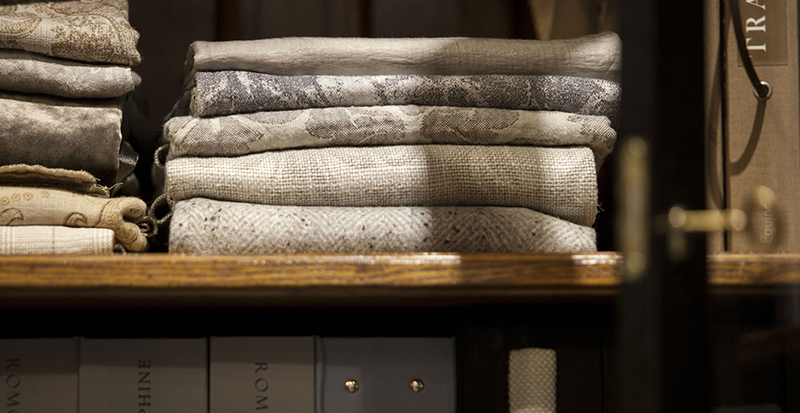 Our showrooms carry an extensive library of fabrics in a range of materials, colours and patterns, individually selected by Oficina Inglesa to offer plenty of choice and help you develop products that meet your every needs. 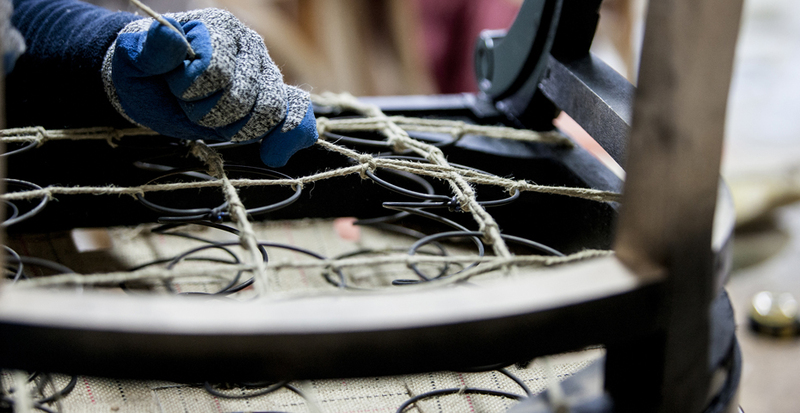 Our upholstery is handmade with strong and solid internal wooden frames and hand-tied springs; and our cushions are filled with a combination of goose down feather and foam to ensure firm support and indisputable comfort. 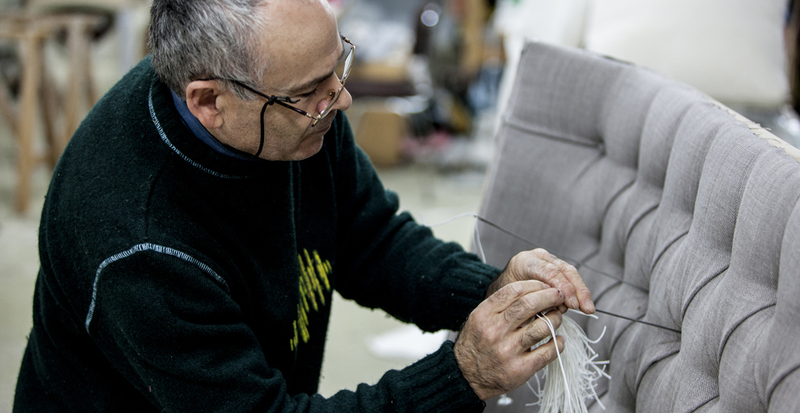 To keep alive the traditional construction techniques used in our upholstery workshop, Oficina Inglesa makes the bridge between experienced artisans and young upholsterers - ensuring the quality of our products for the future. Hand painted and manually distressed by talented craftsman using techniques passed down through generations, every Oficina Inglesa piece has unique attributes which add character and individuality to our products. 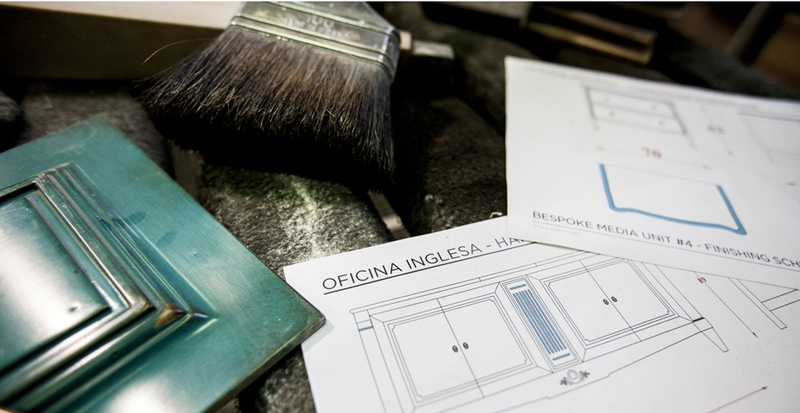 All Oficina Inglesa products are hand painted and distressed by hand, adding character and individuality to every piece. 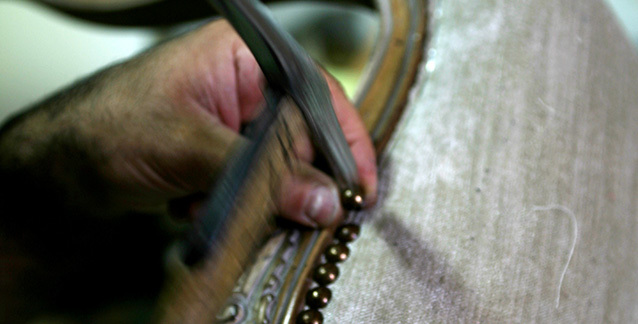 The process of aging our pieces has been finely perfected in our workshop over the last three decades and the result is truly outstanding. 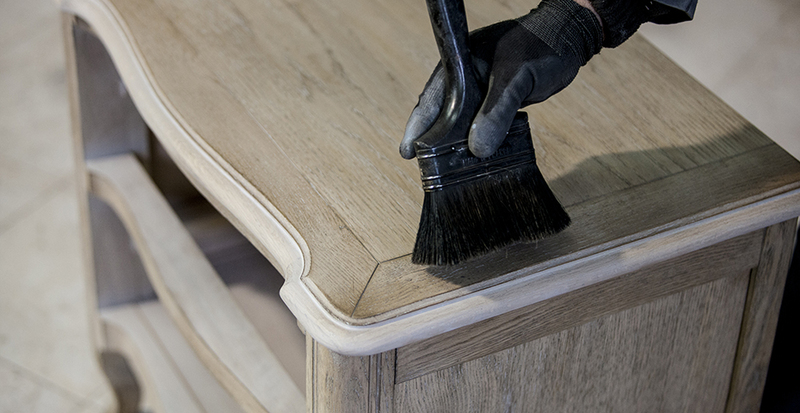 Finished using the best materials available, our classic products are French polished and varnished with shellac. 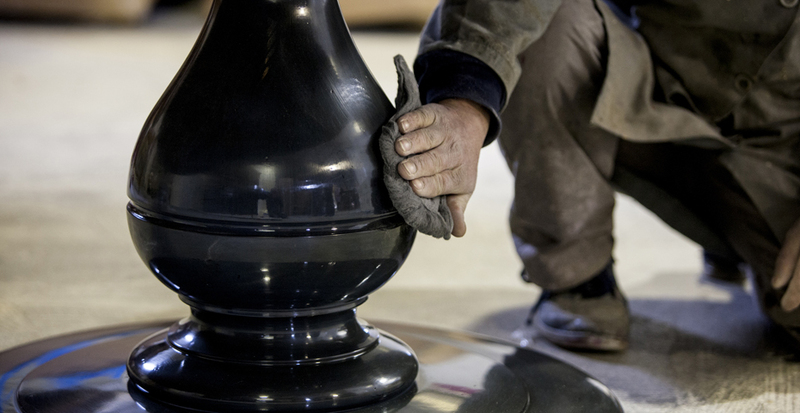 Our paints are carefully developed by experienced specialists to ensure that our finishes are durable and resistant. 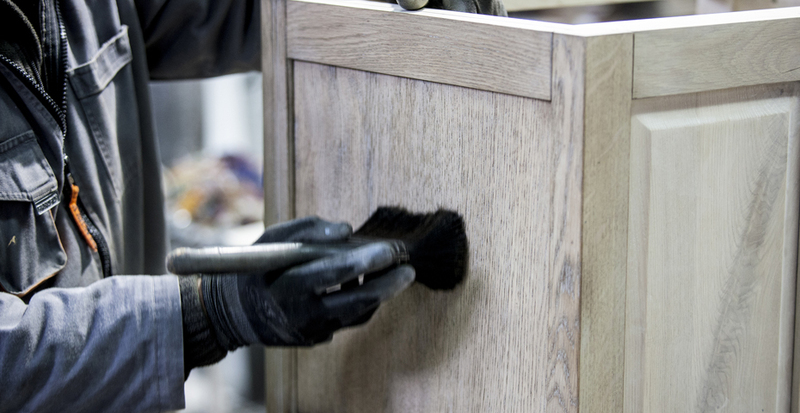 Projects are followed to the detail and technical drawings are produced with finishing schemes to confirm the position of each wood finish prior to production. Every piece is carefully checked in the workshop prior to dispatch to ensure all items travel in accordance with our client’s specifications. 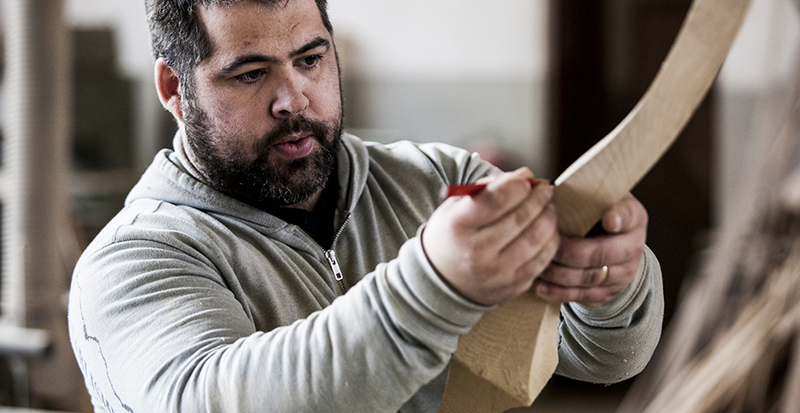 Marquetry, a secular art-form depending entirely on the knowledge and skills of its practitioners, is one of the distinguishing features of Oficina Inglesa. 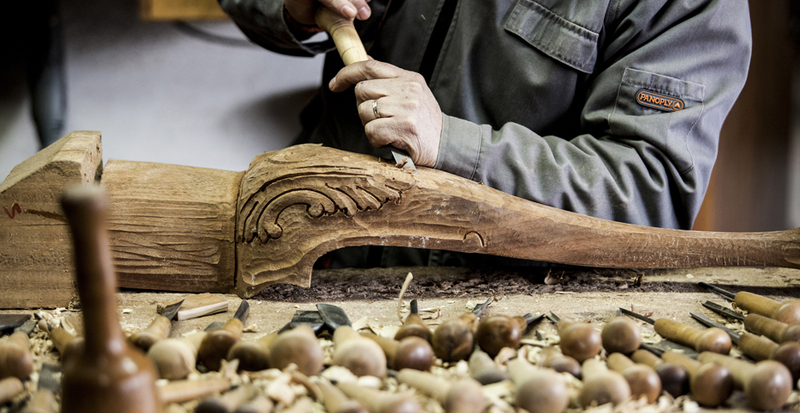 From carvings of surgical precision, various layers of woods are inserted side by side until, together, they form a wooden design chosen by you, the client. 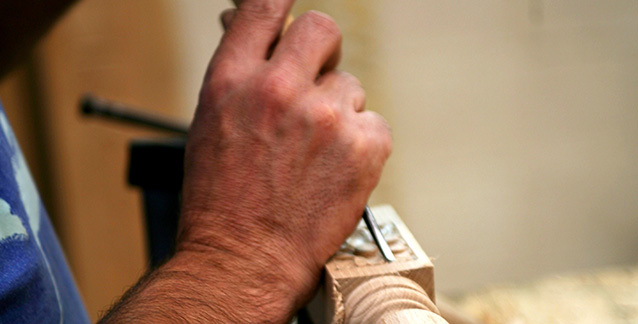 Wood inlay is a technique that requires the careful selection of veneers. 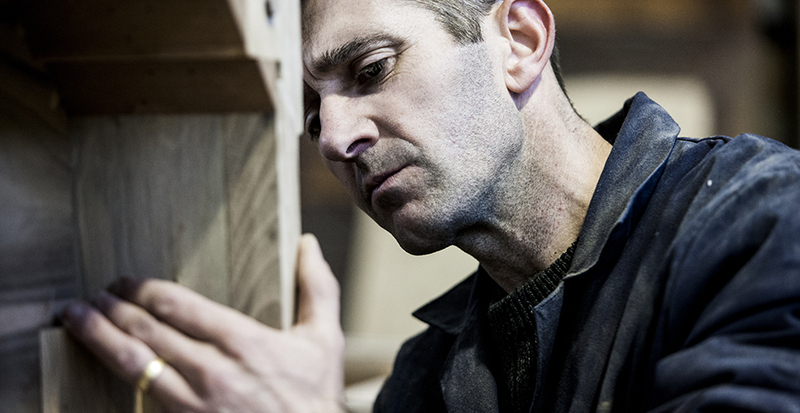 Choosing the correct wood is as crucial as patience and love; and fine work is only achievable through time and experience. 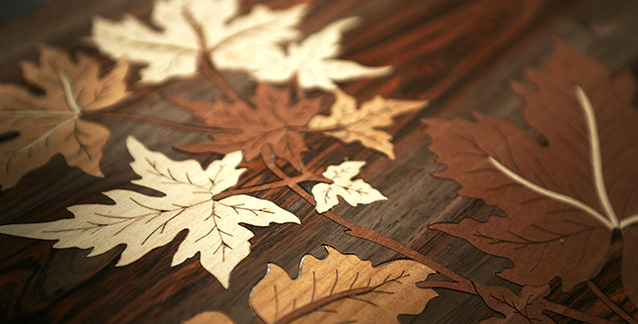 Our marquetry pieces are true works of art that can range from simple floral details on a dresser to elaborate central designs on the top of a dining or coffee table.